Mihaly Csikszentmihalyi (/ˈmiːhaɪ ˈtʃiːksɛntˈmiːhaɪ/, Hungarian: Csíkszentmihályi Mihály, pronounced [ˈt͡ʃiːksɛntmihaːji ˈmihaːj] ( listen); born 29 September 1934) is a Hungarian-American psychologist. He recognised and named the psychological concept of flow, a highly focused mental state. [page needed] He is the Distinguished Professor of Psychology and Management at Claremont Graduate University. He is the former head of the department of psychology at the University of Chicago and of the department of sociology and anthropology at Lake Forest College. The native form of this personal name is Csíkszentmihályi Mihály. This article uses Western name order when mentioning individuals. Csikszentmihalyi was born on 29 September 1934 in Fiume, then part of the Kingdom of Italy. His family name derives from the Csíkszentmihályi village in Transylvania. He was the third son of a career diplomat at the Hungarian Consulate in Fiume. His two older half-brothers died when Csikszentmihalyi was still young; one was an engineering student who was killed in the Siege of Budapest, and the other was sent to labor camps in Siberia by the Soviets. His father was appointed Hungarian Ambassador to Italy shortly after the Second World War, moving the family to Rome. When Communists took over Hungary in 1949, Csikszentmihalyi's father resigned rather than work for the regime; the Communist regime responded by expelling his father and stripping the family of their Hungarian citizenship. To earn a living, his father opened a restaurant in Rome, and Mihaly Csikszentmihalyi dropped out of school to help with the family income. At this time, the young Csikszentmihalyi, then travelling in Switzerland, saw Carl Jung give a talk on the psychology of UFO sightings. Csikszentmihalyi emigrated to the United States from Hungary at the age of 22, working nights to support himself while studying at the University of Chicago. He received his B.A. in 1959 and his PhD in 1965, both from the University of Chicago. He then taught at Lake Forest College, before becoming a professor at the University of Chicago in 1969. Csikszentmihalyi is noted for his work in the study of happiness and creativity, but is best known as the architect of the notion of flow and for his years of research and writing on the topic. He is the author of many books and over 120 articles or book chapters. Martin Seligman, former president of the American Psychological Association, described Csikszentmihalyi as the world's leading researcher on positive psychology. Csikszentmihalyi once said: "Repression is not the way to virtue. When people restrain themselves out of fear, their lives are by necessity diminished. Only through freely chosen discipline can life be enjoyed and still kept within the bounds of reason." His works are influential and are widely cited. In his seminal work, Flow: The Psychology of Optimal Experience, Csíkszentmihályi outlines his theory that people are happiest when they are in a state of flow—a state of concentration or complete absorption with the activity at hand and the situation. It is a state in which people are so involved in an activity that nothing else seems to matter. [page needed] The idea of flow is identical to the feeling of being in the zone or in the groove. The flow state is an optimal state of intrinsic motivation, where the person is fully immersed in what they are doing. This is a feeling everyone has at times, characterized by a feeling of great absorption, engagement, fulfillment, and skill—and during which temporal concerns (time, food, ego-self, etc.) are typically ignored. In an interview with Wired magazine, Csíkszentmihályi described flow as "being completely involved in an activity for its own sake. The ego falls away. Time flies. Every action, movement, and thought follows inevitably from the previous one, like playing jazz. Your whole being is involved, and you're using your skills to the utmost." One state that Csikszentmihalyi researched was that of the autotelic personality. The autotelic personality is one in which a person performs acts because they are intrinsically rewarding, rather than to achieve external goals. Csikszentmihalyi describes the autotelic personality as a trait possessed by individuals who can learn to enjoy situations that most other people would find miserable. [page needed] Research has shown that aspects associated with the autotelic personality include curiosity, persistence, and humility. A majority of Csikszentmihalyi's most recent work surrounds the idea of motivation and the factors that contribute to motivation, challenge, and overall success in an individual. One personality characteristic that Csikszentmihalyi researched in detail was that of intrinsic motivation. Csikszentmihalyi and his colleagues found that intrinsically motivated people were more likely to be goal-directed and enjoy challenges that would lead to an increase in overall happiness. Csikszentmihalyi identified intrinsic motivation as a powerful trait to possess to optimize and enhance positive experience, feelings, and overall well-being as a result of challenging experiences. The results indicated a new personality construct, a term Csikszentmihalyi called work orientation, which is characterized by "achievement, endurance, cognitive structure, order, play, and low impulsivity". A high level of work orientation in students is said to be a better predictor of grades and fulfillment of long-term goals than any school or household environmental influence. 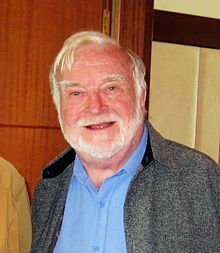 Csikszentmihalyi is the father of artist and professor Christopher Csikszentmihályi, and University of California, Berkeley professor of philosophical and religious traditions of China and East Asia, Mark Csikszentmihalyi. In 2009, Csikszentmihalyi was awarded the Clifton Strengths Prize and received the Széchenyi Prize at a ceremony in Budapest in 2011. He was awarded the Grand Cross Order of Merit of the Republic of Hungary in 2014. He is a Fellow of the American Academy of Arts and Sciences, and a member of both the National Academy of Education and the National Academy of Leisure Sciences. Gardner, Howard, Csikszentmihalyi, Mihaly, and Damon, William (2001). Good Work: When Excellence and Ethics Meet. New York, Basic Books. ^ O'Keefe, Paul A. (4 September 2014). "Liking Work Really Matters". The New York Times. Retrieved 30 October 2015. ^ Csikszentmihalyi, Mihaly (1990). Flow: the psychology of optimal experience (1st ed.). New York: Harper & Row. ISBN 9780060162535. ^ "Mihaly Csikszentmihalyi". Claremont Graduate University. Retrieved 2 March 2017. ^ a b c Cooper, Andrew (1 September 1998). "The Man Who Found the Flow". Lion's Roar. Retrieved 6 May 2018. ^ a b c d e f g h i Kawamura, Kristine Marin (2014). "Kristine Marin Kawamura, PhD interviews Mihaly Csikszentmihalyi, PhD". Cross Cultural Management. Emerald Group Publishing Limited. 21 (4). ^ a b Pontifex, Trevor (6 February 2015). "Q&A: CGU Professor Mihaly Csikszentmihalyi Receives Hungarian National Award". The Student Life. Claremont, California: Claremont Colleges. Retrieved 6 May 2018. ^ "Virtue Quotes & Quotations". focusdep.com. Archived from the original on 11 November 2013. Retrieved 19 January 2014. ^ Csikszentmihalyi, Mihaly (1990). Flow: The Psychology of Optimal Experience. Harper Perennial Modern Classics. p. 27. ^ Geirland, John (1996). "Go With The Flow". Wired magazine, September, Issue 4.09. ^ a b Fullagar, Clive J.; Kelloway, E. Kevin (2009). "Flow at work: an experience sampling approach". Journal of Occupational and Organizational Psychology. 82 (3): 595–615. doi:10.1348/096317908x357903. ^ Car, A. Positive psychology. The Science of happiness and human strengths. Hove, 2004. ^ Csikszentmihalyi, M. & Nakamura, J. (2011). Positive psychology: Where did it come from, where is it going? In K. M. Sheldon, T. B. Kashdan, & M. F. Steger (Eds. ), Designing positive psychology (pp. 2–9). New York: Oxford University Press. ^ Abuhamdeh, Sami; Csikszentmihalyi, Mihaly (2012). "The importance of challenge for the enjoyment of intrinsically motivated, goal-directed activities". Personality and Social Psychology Bulletin. 38: 317–30. doi:10.1177/0146167211427147. PMID 22067510. ^ Wong, Maria; Mihaly Csikszentmihalyi (1991). "Motivation and academic achievement: The effects of personality traits and the quality of experience". Journal of Personality. 59: 539–574. doi:10.1111/j.1467-6494.1991.tb00259.x. ^ "Mark Csikszentmihalyi". ieas.berkeley.edu. Retrieved 6 May 2018. ^ Nakamura, Jeanne. "2009 Clifton Strength Prize Laureate". Clifton Strengths School. Archived from the original on 2 April 2012. Retrieved 15 June 2012. ^ "President of Hungary honors SBOS Prof. Mihaly Csikszentmihalyi with national science prize". Claremont Graduate University. 3 June 2011. Retrieved 15 June 2012.